last tuesday, the super-majority of montana voters of all political parties gave our verdict on payday lenders 71% to 29%. it was a whitewash which included overwhelming support by both democrats and republicans. now i am getting indications that out of state slime devils/vampires are gearing up to bribe our state legislature to override our decision on allowing businesses to charge our working poor 300 to 650% interest. i am writing an open letter to the legislature……. the people of the state of montana already decided for you on the payday/vehicle title loan question. NO MEANS THE HELL NO! now good luck on your next session and remember we will be watching and making sure that you represent our interests in helena this winter, not the interests of well-heeled out of state interests who want to profit by fleecing us. and this stands for lots of issues. but especially payday lenders. 71% of the voters of the great state of montana. now, where did i put that wooden stake? just like president elect Obama, there is little time for his supporters to savor the unprecedented sea change which this country has gone through in the last week. we must hit the ground running to solve many of the problems which locally effect us as well. my pet peeve is payday loan businesses. they prey on montana’s most vulnerable financially strapped citizens. from elderly to youth making minimum wage; from the poorest of the poor working class to the middle class, payday loans, while tempting, usually only make situations worse with 650% interest rates (currently allowable under montana law) which usually create a trap for those unable to pay them back within the original two week pay period. fortunately, there are many citizen groups working on this and we hope to pass legislation in the upcoming winter session of the Montana legislature scheduled to convene on Jan 5, 2009- just seven short weeks away. these groups need your stories about friends family or yourself in dealing with payday lenders. please consider sharing them with us here or just drop by my webpage to leave your story. each change we make this year could make a big difference for families living on the edge. if you would like more information on this proposed legislation there is a group in Billings who has approached potential sponsors of a bill to bring these lenders in line with other states who have passed similar legislation. Oregon has a bill which seems to work for both the industry and the people who need their services. 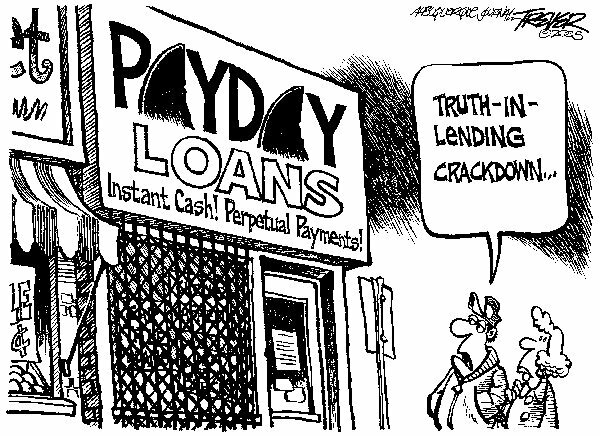 finally, if you feel like me that the greed and predation which has occurred accross this country over the past 8 years needs to end, please join us in contacting your state representatives and letting them know that payday lending needs to be curbed and regulated in Montana. if you or someone you know has been effected by payday loans, please consider sharing them with us. your identity will be kept private as always. thank you. anne opened her mail today after a long shift as an RN at St. Patrick’s hospital. one of the envelopes contained in the slew of junk mail looked a little ominous. in the right hand corner of the envelope were the words “account information enclosed.” anne placed the mail on the dining room table and let her little dog out. she lives alone with her small terrier/poodle cross named Izzie who anne rescued from the dog pound 7 years ago. she lives very modestly in a nice apartment with a view of the clark fork river. her life is busy. she volunteers at the food bank on her days off and her friends keep her busy with church activities and outdoor hiking on weekends. a very used book by Kim Williams entitled Book Of Uncommon Sense lies prominently on the cluttered coffee table in front of her comfy recliner. it was a couple of hours later when anne finally opened her mail and read the fine print contained in the envelope. her JC Penney card which she used for modest clothing and linen purchases had a current balance of $653.46. anne always paid her bill early or on time and she always paid at least triple the minimum. her current credit limit is $1500.00. the first announcement in the summary of changes stated that anne’s current rate of 12% will immediately be increased to a new standard rate of 22.85%. the credit card company gave no reason for the change. the summary of changes had other surprises for anne like shortening the time by which she must pay the minimum payment to avoid a late payment fee from 30 to 23 days. 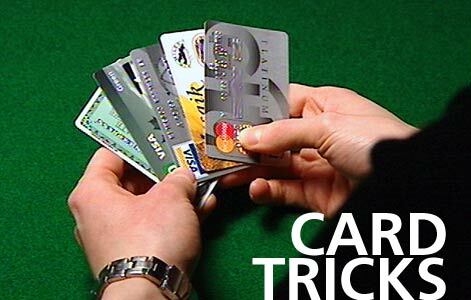 also, interest will be compounded on a daily rather than monthly basis. anne felt abused as a customer of JC Penney and she felt abused as an american worker who pays her bills on time and expects to be treated fairly. she will vote for obama in november because she is tired of being taken advantage of by large corporations like GE Capital who sent her this notice today because they have just purchased all the credit card accounts from JC Penney Corp. anne is tired of hearing about the corruption and predatory lending practices of banks and credit card companies like GE Capital. she hopes that change in washington will also include reining in the predatory lending practices that have been encouraged to flourish under the Bush administration. anne feels that obama knows that what this company is doing to her is wrong and she is certain she can trust him to bring some integrity back to business practices in america again. meanwhile, anne will take some money out of savings and work some overtime to pay the card off over the next few months and she is certain she will never set foot in JC Penney’s again. i believe her and if you have ever seen the determined look that a seasoned RN can muster you would believe her too. after all, anne reminds me, she works in a cancer ward. Mr. Bush himself would wither under the look of anne’s eyes peering at him over her reading glasses tonight. and i would not recommend anyone ever giving anne a conservative right wing lecture on allowing the credit industry to remain unregulated. with notices like these going out to 25 million JC Penney card holders and the accompanying anger sure to grow from this bold move, i do not envy the chances for mccain/palin in november. obama votes on predatory lending. 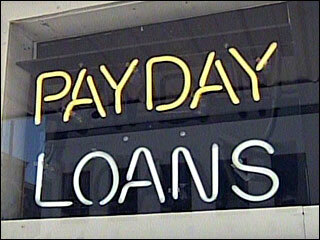 obama’s plan to address predatory lending.